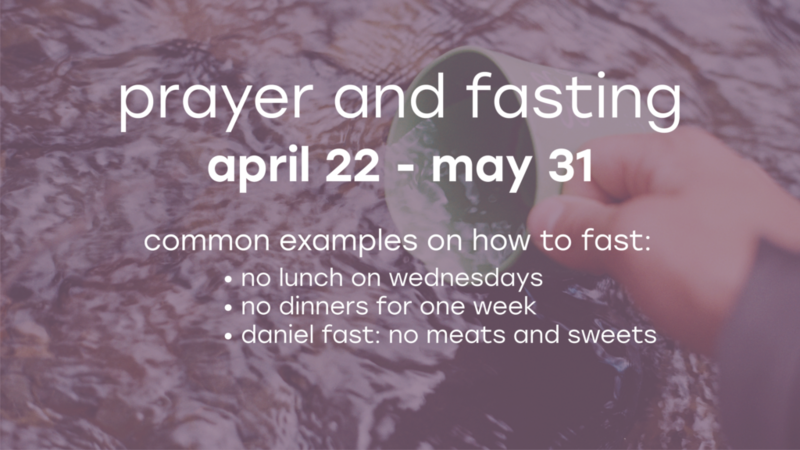 To gear up for our upcoming church transition, we will be entering into a 40-day period of prayer and fasting from April 22nd until May 31st. This is an invitation to set aside a meal, a day or even a week and spend that time to seek out God’s leading for VOH. As we humbly seek Him out, may we all find ourselves feasting in the glory of His Presence. To sign up for a slot, click here!